Other versions: WIIU; PS4; XONE. One of the most gratifying aspects of covering games is that, every now and then, one comes along and surprises you with its sheer quality. Kick & Fennick is a perfect example of why you should never judge a book by its cover. Or in this instance, a game on its opening five minutes. The cynic in me spotted the early warning signs: a wide-eyed child hero with a cutesy robot companion, and chunky, cartoonified visuals. I admit, it evoked unflattering comparisons with patchy TV off-shoots, the kind developed with the intention of targetting children’s short attention spans and weary parent's wallets. 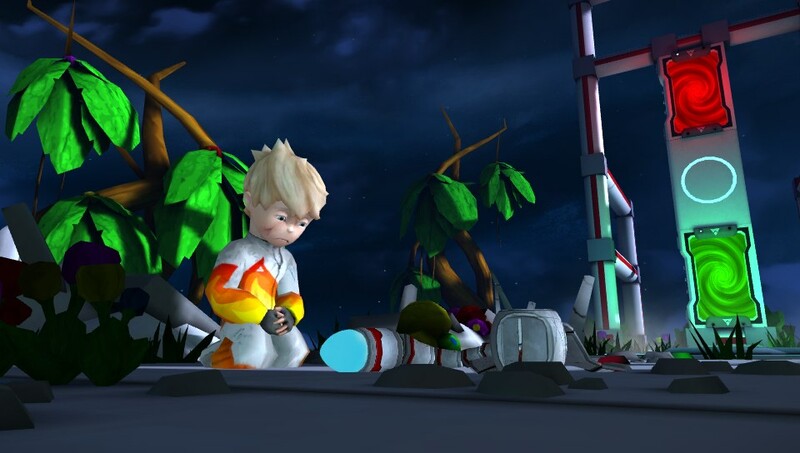 For all money, this Dutch-developed Vita effort looked a dud, having been largely overlooked despite appearing as a free PlayStation Plus title in the month of its release. Those who passed it over were looking a gift-horse in the mouth, because it’s brilliant. 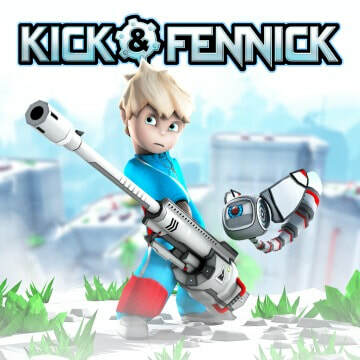 Kick & Fennick is cleverer, more challenging and more creative than you likely could have suspected from its opening sequences. 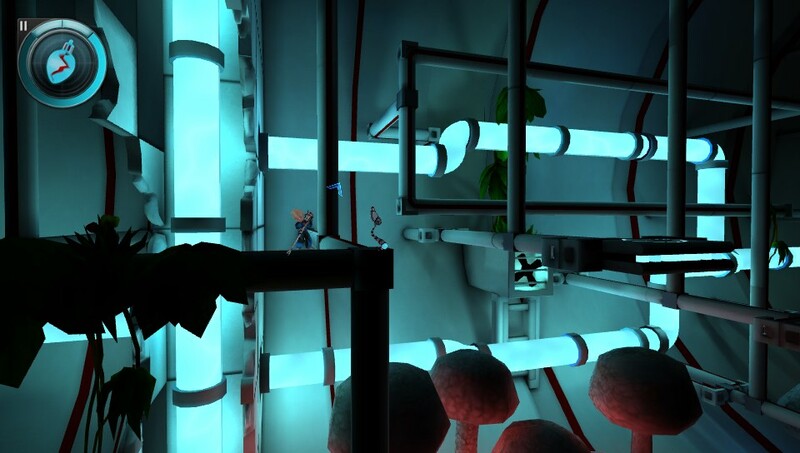 What appears at first glance to be a fairly by-the-numbers adventure soon emerges as a fiendish, marvellously-crafted 2D platformer that places particular emphasis on the player’s spacial awareness and judgement. Near the beginning, Kick finds a pulse gun of sorts. This can be used in the conventional manner for taking out patrolling robot sentries, but it’s the manoeuvrability the item grants that makes it so compelling. The environments are large relative to the young protagonist, but by firing pulses into the ground, he achieves a launch effect that’s parallel to the direction in which he fired, with a follow-up burst available once he’s airborne. 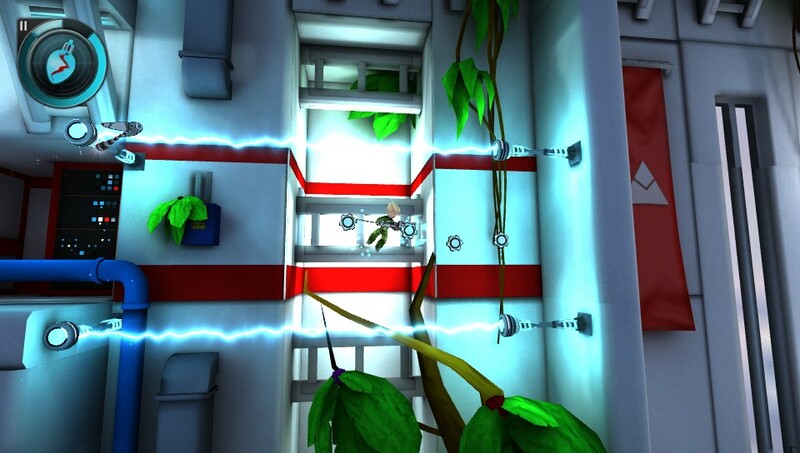 This allows the player to reach faraway ledges, and to zip between hazards. Instigating the aiming with right analogue stick results in time slowing for a brief period, giving the player a fair chance to line-up double-jumps. It’s tricky at first but extremely intuitive, and cute analogue control even allows for smaller, hop-like jumps with smaller trajectories when necessary. Devious, tightly-designed levels (of which there are more than forty) evolve nicely, whilst retaining an impressively balanced, and occasionally stern, difficulty level. 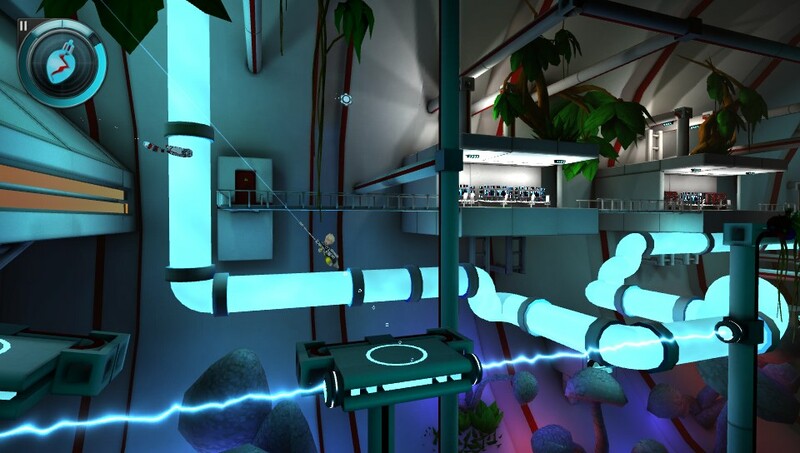 Things gradually ramp up with the introduction of some labyrinthine electric fence traps, warp gates and bounce pads, where you’ll need to experiment to find the best means of retaining momentum between boosts. There’s an easy setting for those who don’t want the pressure of restarting levels in the event of running out of health, making the game more accessible to younger players. Hard mode offers a superbly satisfying challenge for more seasoned platformer fans. 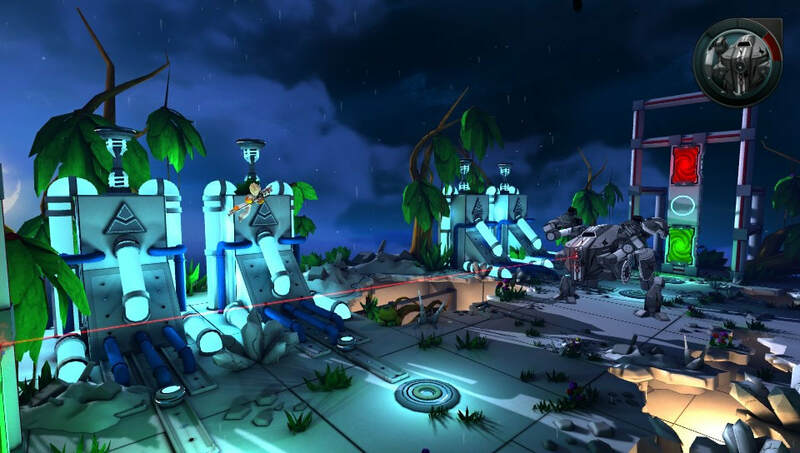 Whereas on the lower difficulties, cogs found within the levels are really only there for collection’s sake, on Hard, they prove invaluable, helping to restore health should you misjudge a few of the obstacles. Whilst the sci-fi environs look rather similar in terms of surface appearance, the levels have a vivaciousness about them; bright, well-defined locales aided by smooth game engine, meaning each level is inviting and enjoyable to explore. Whether you’re aiming for narrow ledges, or trying to neutralise sentries from a distance, there’s a pleasant sense of accuracy, and of assured quality, to Kick & Fennick. This is all the more impressive on Vita, as despite its ambitions, the game never succumbs to the graphical frailties or performance issues that have blighted indie titles on the system. Kick & Fennick breathes new life into the venerable 2D Platformer, but at the heart of it all, Jaywalkers have kept things relatively old-school when it comes to their titular heroes. The pair evoke a certain nostalgia. Their journey is a challenging one, and despite featuring only an economical smattering of cut-scenes, the duo prove eminently likeable through their simple, unadorned interactions. This is aided by the smart decision to pass on dialogue, something which pays off in the game’s earnest, heartfelt finale. Sometimes less is more, and Kick & Fennick wisely lets its gameplay do the talking. This sensation of quality is enhanced still-further thanks to some excellent music from Jonathan van den Wijngaarden. The tunes are softer and more subtle than what we’re accustomed to from the platformer genre, and it makes for a welcome change. His efforts aren’t overpowering, yet you sense they are instrumental to the game’s theme and identity. Just a hint of menace here and there, a dash of ambient tension, as you explore into the unknown, not unlike the manner in which Tomb Raider used to show off its remarkable visages. Understated, yet effective. 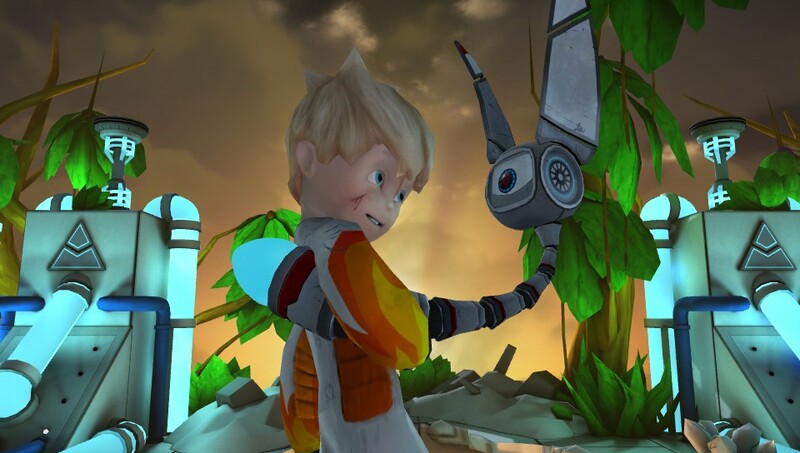 In a sequence of David-and-Goliath boss fights, Kick must do battle with a robot antagonist, where a creative approach is paramount to his success. There’s weeks of play to be had from Kick & Fennick. Not only does it pioneer a very different type of platforming, it backs it up with a decent game engine and oodles of challenges to overcome. It won’t suit all tastes, and those expecting something a little more relaxed may find themselves frustrated. But those who get into Kick & Fennick, will get an awful lot from it. 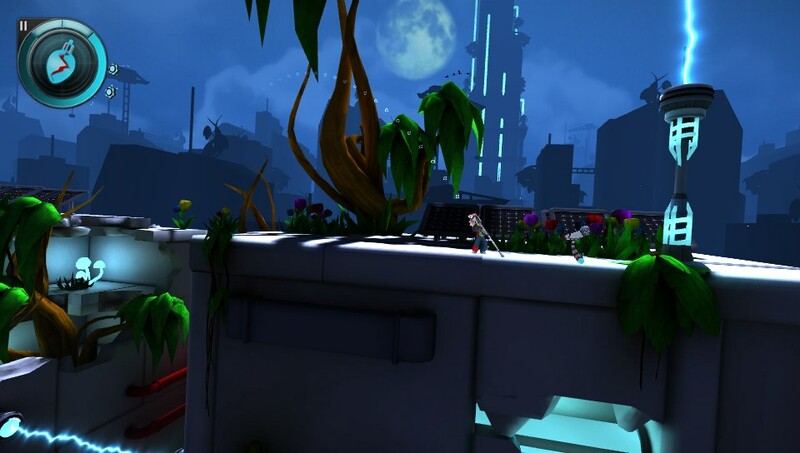 "An original and successful take on the platforming genre, with a quality game engine and inviting levels. Those who get into Kick & Fennick, will get an awful lot from it"